Welcome To Laurieville! Population 1.: "What on earth have you done to poor Mr. Darcy?" "What on earth have you done to poor Mr. Darcy?" My girlfriend sent me this link today: Are Chick Flicks Wrecking Your Relationship? Why did she send it? You might ask. Because I LOVE a good chick flick. I will watch a good chick flick repeatedly. I will email her pictures of hunky, dreamy leading men (current favorite ~ Gerard Butler ~ and coincidentally, page two of said article mentions him specifically). Truly, I love the fantasy romance of chick flicks. Because I love a happy ending, dang it! I love that Harry and Sally’s wedding cake had the sauce on the side!! I find that today’s world is so depressing sometimes with all the reality shows, shock TV shows, the news. UGH. Enough already. Give me a good fantasy where la la la everyone ends up happy (horrors ~ I know)! That being said, the title of the article hit home with me! What if chick flicks were ruining my relationship? I’ve been married for nine years. I believe we are happy. We have had our moments but I have not considered with any seriousness leaving or throwing him out. I anticipate growing old with him because I am pretty confident that he loves me like no other (sigh), but what if? What if I should stop watching (and re-watching) my beloved chick flicks? While normally, I do not read Cosmo or take stock in its articles, I have read and re-read this one. I have come to the conclusion that it is completely ridiculous. In an effort to defend the chick flicks I love so well, hereforto are my arguments! You're Constantly Thinking, "That Would Never Happen to Us!" The solution is simple. If you're about to do something nice for your man, ask yourself whether or not you'd be mad if he didn't return the gesture. If your intentions are purely to surprise him or make him happy, then go for it. If you're secretly hoping it inspires him to suddenly transform into Gerard Butler in P.S. I Love You, then stop yourself then and there. 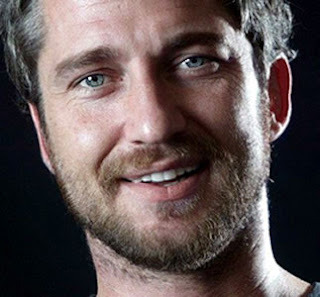 Oh, and Gerard Butler is hot by the way. Researchers from Heriot-Watt University in Scotland found in their study that romantic comedies can create unrealistic expectations for love and relationships — especially when it comes to communication. Turns out that chicks who love romance flicks are prone to mind-reader-itis: that is, they expect their guy to know what they want or how they're feeling without having to tell them. I do believe this to be true. And while it is true, I don’t think the chick flick is to blame. I think society, soap operas (which was all we had to watch after school when we were impressionable teens), Broadway (Marius and Cosette? Christine and Raoul?) and music have all had a huge influence. Literature alone has corrupted us. After all, who after reading Twilight did not want to get all snuggly with Edward (sigh). Who hasn’t longed for their partners to be so into us that it turns us to mush? At the end of the day, I think impressionable people might be swayed by a chick flick or novel or song or their own imagination. We can’t blame any one thing for it. As for me, I will watch my chick flicks. I will continue to ask my beloved to grow his hair out like a rouge, speak in an Scottish accent while wearing a kilt and bite my neck. After all, I get enough reality every day. Favorite quotes that make me weak in the knees! "I prayed all the way up that hill yesterday," he said softly. "Not for you to stay; I didna think that would be right. I prayed I'd be strong enough to send ye away." He shook his head, still gazing up the hill, a faraway look in his eyes. "I said 'Lord, if I've never had courage in my life before, let me have it now. Let me be brave enough not to fall on my knees and beg her to stay.'" He pulled his eyes away from the cottage and smiled briefly at me. You mean, the kiss in the rain, from The Notebook isn't real? BRAVO!!! I love how there is a justification for why relationships fail. You know countless men and woman will now use it as their scapegoat. And as for the huge mistake theory yes there are some punches you have to roll with but when he starting up the affair alley sorry but that is inexcusable in my book and so no I wouldn't 'roll with that punch'. I am so glad you defended the movies; I agree with you it's everything we let filter in that puts unreasonable expectations. Oh well down from my soap box. Yeah I am still holding out for my hubby to dance with me in the woods and to wear a kilt. What is it about those kilts, they drive me crazy. My first reaction is, "This is silly." But then I think certain ladies I know and...well, in some cases, the article may have a point! You bring up a few points to think about...I am pretty sure I've cried multiple times during every chick flick I've ever watched. Sometimes I think, "There really is no reason for crying! ", but I still do. Since the need for gratification is sometimes overrated and there are only so many places that one can comment, I have been instructed to comment on the blog. I have seen the beloved in a quilt, in fact I didn't see it as a typo but as something the household does. I have seen all of you in quilts. The obsession with girly movies is a real thing that some will have (you however, I truly believe are grounded in your life). We all need an escape from reality. I myself believe that someday my beloved will arrive home wearing a cowboy hat holding a bouquet of roses because Kenny Rogers told him to. Obsessions are a fact of life and we all need them. It is part of what defines us. The author of this originnal post should be a writer. I enjoy reading all that is written. What a bunch of girl stuff. What about the REAL movie quotes... "Go ahead, make my day." So, is my name Gerard tonight or is it still Edward?